Its been said that sleeping is a time of rest...downtime for all the stress and worries we have to carry throughout our waking hours. We lay our head on our pillows at night and just pray that the next 8 hours (give or take) are going to be peaceful and non eventful....but then something happens while we sleep. While our bodies get comfortable and prepare to do nothing more strenuous then the occasional turn or stretch...our minds are still on full steam ahead...windows to the soul...our subconcious getting a chance to flex some muscle...our secret desires made real...if only for a time...we call this dreaming. Dreams are not real...they cant affect our lives in any physical way....as soon as we open our eyes the dream is gone...its affects (good or bad) are like smoke...easy to see but without substance. We shake it off...climb out of bed and get on with the day...most dreams are forgotten almost as soon as we wake up...others might linger like forgotten memories for several hours ....and some stay with us for a lifetime. Never to be forgotten...as real to us as any actual memory we may have of an event that we took part in. 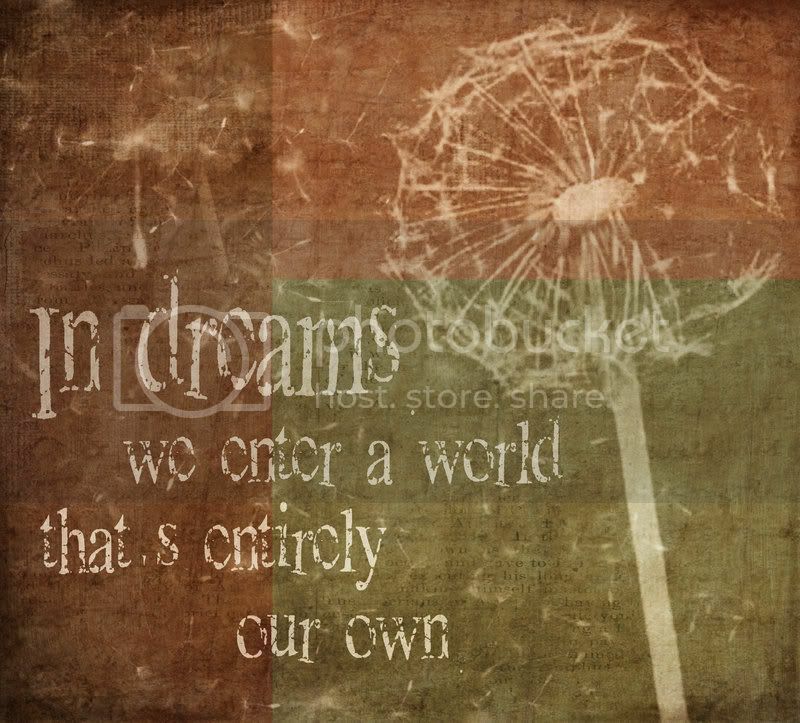 I have 2 such dreams that have stayed with me long after I awoke shaking and disoriented...or awestruck and breathless. Everyone likes to interpret dreams...give their take on the "hidden message" thats trying to make itself known. We see either doom or good fortune depending on our present mood. Tell me what your interpretation are of these two dreams...lets see what we come up with. I actually had these dreams in the same year. Ive never had anything even similar to them again...and nothing that was happening in my life at those particular moments seemed to warrant such memorable nocturnal theater. The first one occurred within the first year that I converted to Islam....not sure if that has anything to do with it...but I do know that I was not experiencing a crisis of faith similar to what I am now. If there was a time for that particular dream...now would be it. Here goes...in this dream I am running from the Devil...or Shaitan as Muslims call him. If anyone ever saw the movie Legend with Tom Cruise...the devil in that movie...big red dude with very large horns...sharp teeth and hooves for feet...that is a fairly decent description of "my" Shaitan. Anyhow...Im running through a fairly barren city...its all destroyed as if a war happened. There arent any other people in this city and I can hear my own breath and stomping feet very clearly. While Shaitan is chasing me he is bellowing out the words "do you believe" over and over again. Each time he bellows those words...my whole body shivers and I want to just stop running and give up....but I keep running. I feel like my lungs will burst...and I can hear him getting closer and closer until Im sure he's close enough behind to touch me...so I run even faster. Eventually I run on to a bus and hide in the back seat. Shaitan finds me of course and comes crashing down the aisle...upsetting seats and he is so large that his horns are scraping the ceiling of the bus. This scraping sound has never left me...I hear it everywhere to this day...and always look around to see where its coming from...anyhow...Shaitan is still bellowing and coming closer and closer to me..."do you believe...do you believe?" He comes right up to my face until our noses are practically touching...screaming again and again..."do you believe!!!" I want to scream back at him that I do...but I hesitate because Im not sure what it is Im supposed to be believing. I have a sneaky feeling its a trick question and that the object I should believe in is Hell...and as soon as I say that I do believe in it...then I will quickly find myself there....so I hesistate....but just when I think my head will explode from the next bellowed "do you believe"...he changes his question to "is your faith strong enough?" As soon as he bellows out that new question...I wake up. Or should I say I jerk awake like someone just hit me with those paddles they use in emergency rooms to get the heart started again...but in this case my heart is pounding so damn hard I seriously feel that a heart attack is eminent. I have never been so afraid in my life...so afraid that I did not want to go back to sleep...and yet it was only a dream. I laid there for 2 hours until fajr prayer...and my heart was hammering the whole time...I was terrified...and still get rather edgy all these years later just to think about it. I will tell you the other dream in the next post as this one is rather long as it is...let me know what you think dear readers...Im curious. Remember...I was not in fear of losing my deen...I didnt have doubts or unanswerable questions plaguing me like I do these days. I would say those were my best years as a Muslim really...new converts are soooo convinced and secure in their new beliefs...right...so why the dream questioning my faith? Did it mean anything...nothing...and why does it still affect me all these years later...if it was only a little dream? I'll get my dream interpretation book out later but I'm thinking that maybe your subconscious mind wasn't as secure and convinced in it's beliefs as your conscious mind was? Or do you think that other people were possibly questioning or doubting your conversion? Did your husband mock your conversion at all? Waw! Powerfull stuff! You know, whatever dreams mean, they never mean what they seem to mean. What I mean is that it is too simple to take this literally, a dream is about something else connected with it. I am quite sure this dream was not about your religion and if you are a true believer, I think it points to a very different but profound problem/doubt/experience in your life. But you are the only one who can find out what exactely. 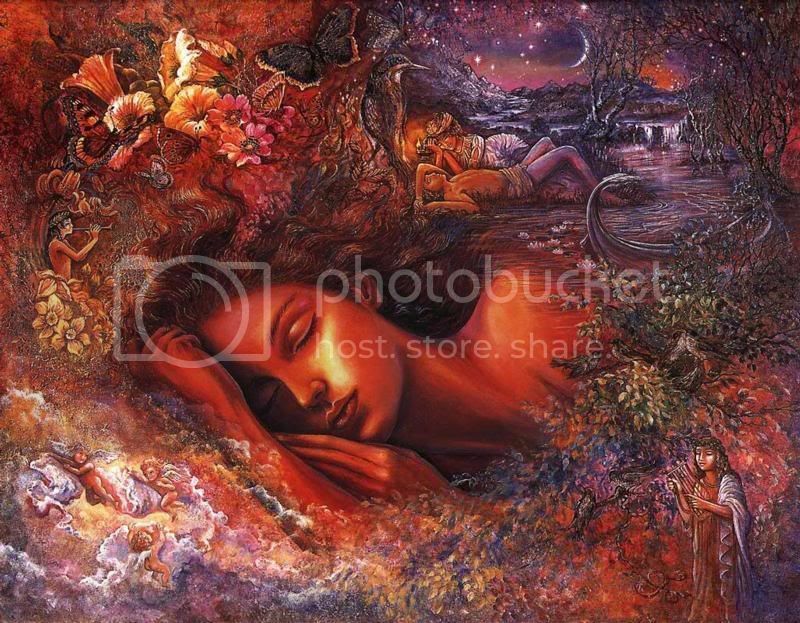 I love dreams, but I don't believe in dreambooks, dreams are personal, and tied to your unique views and experiences of the world. For examle: I am sure that dreaming of riding a horse will have a very different meaning to either of us.